8 players. 2 decks. This is gonna get crazy! If you’ve ever heard of something called a “computer,” you’ve probably played (and mastered!) 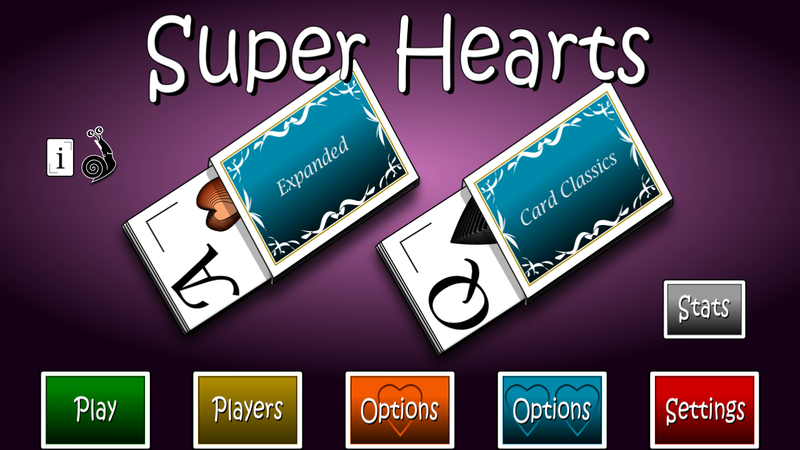 the card game “Hearts.” It is therefore time for a new challenge! 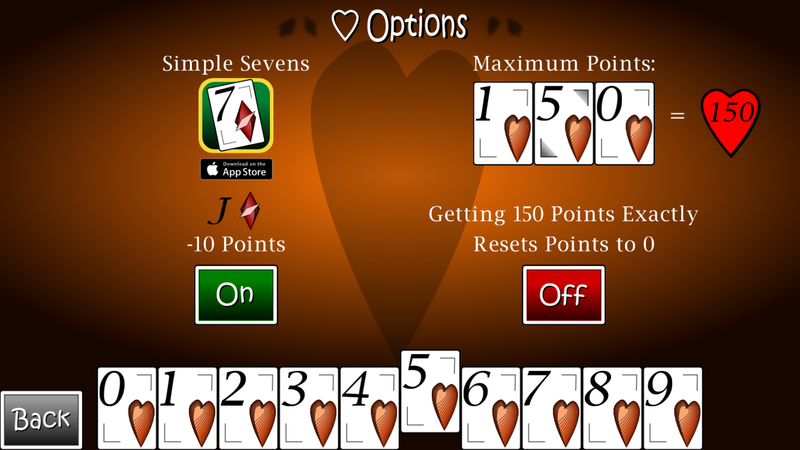 Double Deck Cancellation Hearts plays exactly like its classic cousin, save for a very interesting twist: when a card is played that matches a card already on the table, the two cards “cancel out” and can no longer win the trick. However, their penalty points still count! …plays the other queen of spades! Your complexion fades as the two queens “cancel out,” and the trick falls to the player with the next highest card: you and your jack. The tears stream down your face as you collect the trick, absorbing the penalty points of BOTH queens for a total of TWENTY-SIX penalty points. You are no longer in first. 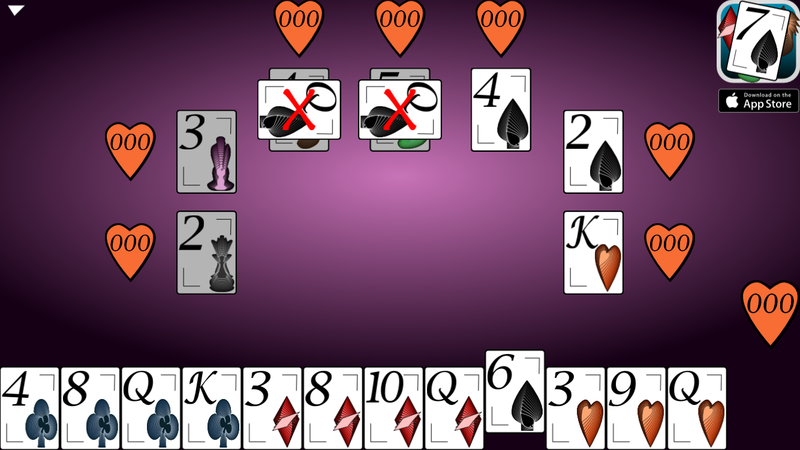 This is exactly the kind of chaos you may encounter in Double Deck Cancellation Hearts. Think your heart can handle it? Two queens of spades?!?! Both cancelled?!?! …I’m in a lot of trouble!!! 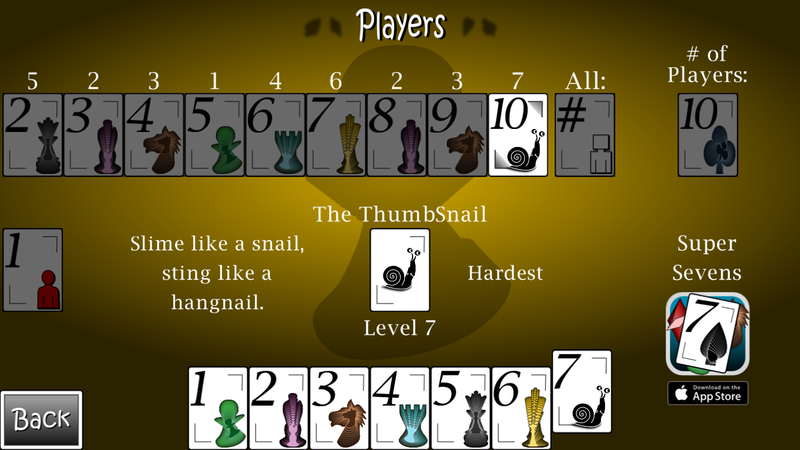 Think you can take down 10 ThumbSnails? That’s a lot of slime and a lot of pain! After getting those two queens of spades, I sure wouldn’t mind a helpful jack! 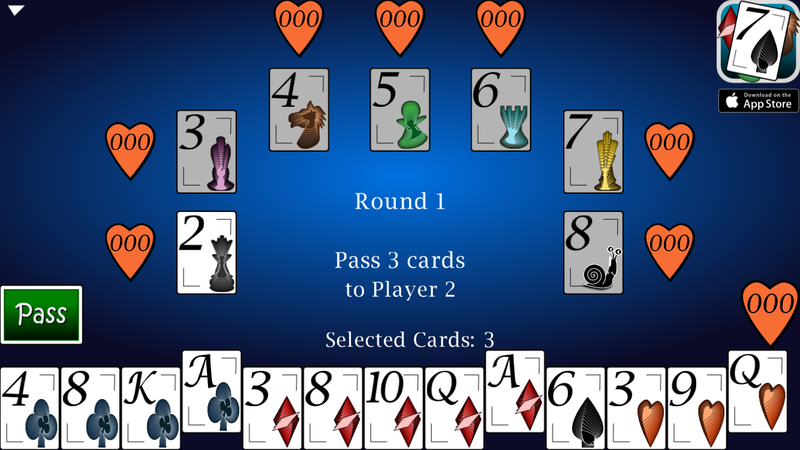 Both queens of spades and all 26 hearts… Let’s do this! 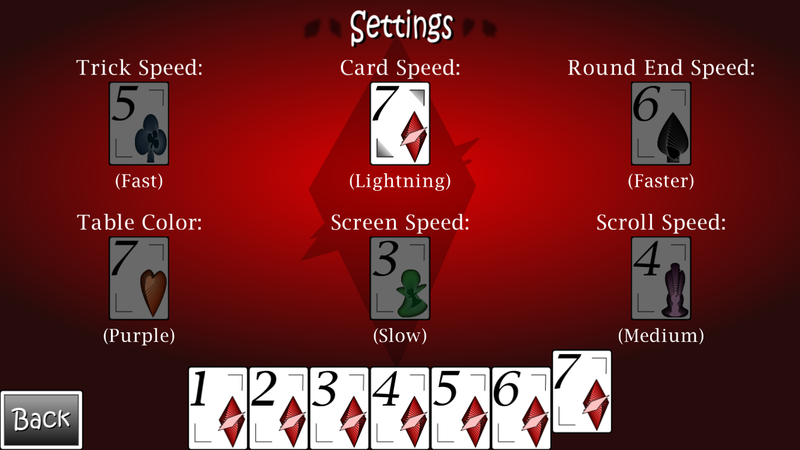 – Settings to change card speed, animation speed, background color, etc. Do lightning and snails mix? In this game they do. 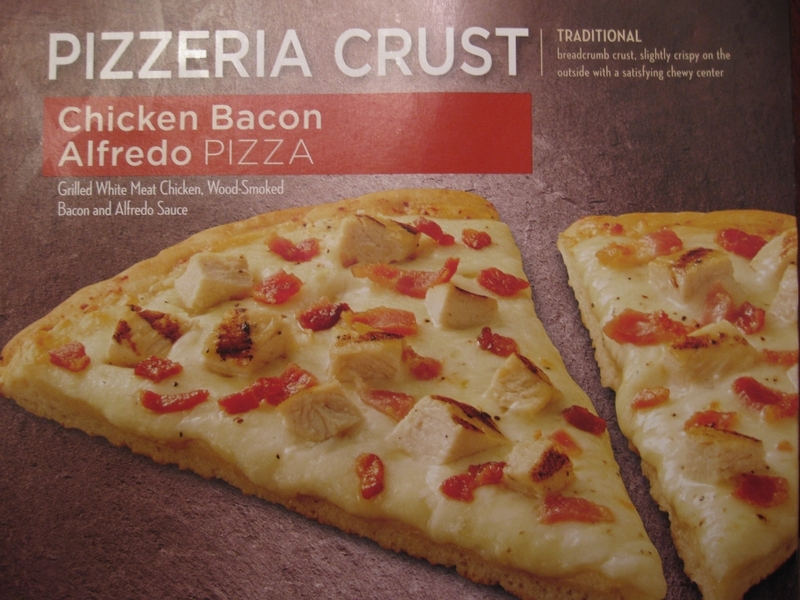 – No homemade, guilt-inducing ads! Hi, I’m totally psyched that you have developed a Cancellation Hearts app. I’ve only played hearts with two decks, so the standard single deck game is totally a let down. In the card game that I’ve played over the years, the jack of diamonds has counted as +10 points for whoever takes that hand. Is this how your game is played? It adds an additional component to the game. 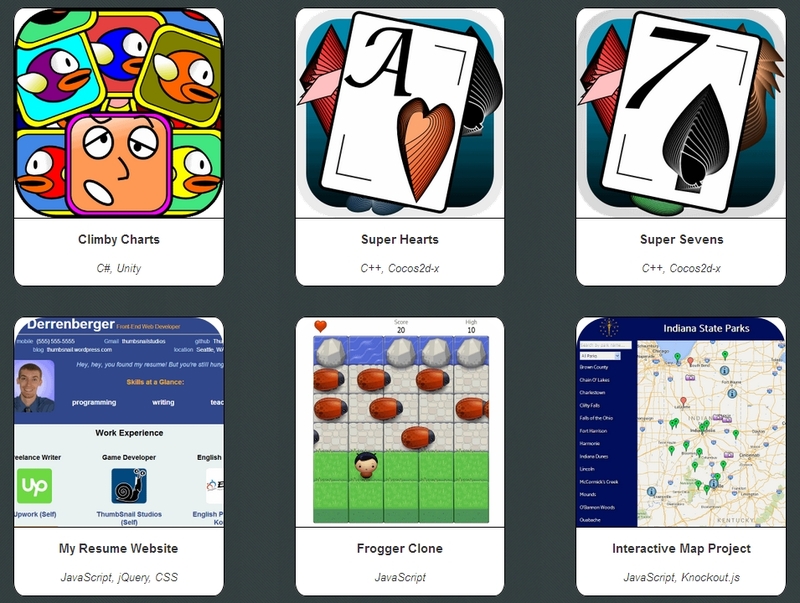 If the jack of diamonds is included in your version, I’ll gladly purchase your app. Yeah, I feel the same way about standard Hearts, too! It’s just nowhere near as interesting as Cancellation. Well, my game is somewhat different in that the jack of diamonds can be worth minus 10 points. 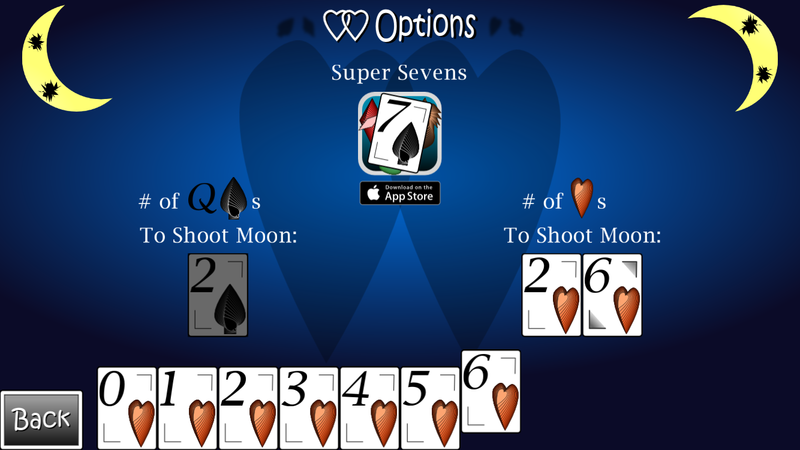 Thus, when that option is on, it’s actually beneficial to take the jack of diamonds in a trick. It’s not the default option upon first load, but if you go to the “Options” menu, you can easily turn it on. Just to be clear, there are two Android versions of Super Hearts out nowadays. There’s the free version that you can play through Amazon’s Underground app. It’s fully featured, but Amazon sometimes shows an ad when you start up Underground. And, unfortunately, on some devices, it cuts off the top of my game such that you can’t see the point totals of the players in the top row.